Named for the God of daily food and fishermen, Ebisu brings together the best of traditional Japanese and modern international dining. Ebisu takes the traditional values of Japanese cuisine – freshness, simplicity, painstaking attention to the quality of ingredients – and fuses them with the buzz and excitement of contemporary dining. In Japanese mythology, Ebisu is the god of daily food, good luck and plenty. He is also the guardian of fishermen and merchants, making the restaurant’s location a fitting one. Situated in the fine Union Fish Company heritage building overlooking the wharves, its stripped-back design makes the most of the soaring ceilings, large arched windows, exposed brickwork and raw timber columns of the character space. A glassed-off indoor terrace lets in light and views from Quay Street and creates an intimate space for group dining or events. Luxurious leather booths in the centre of the space face the theatrics of the cocktail bar and sushi kitchen or back into the lively arena of the restaurant. Unusually on the Auckland dining scene, Ebisu introduces live music and DJs into the restaurant, adding to the contemporary atmosphere. Back of house, however, the kitchen set-up is truly authentic. Highly skilled Japanese chefs with both traditional and Pacific Rim credentials create a selection of exquisite sharing plates and mains. The menu celebrates the best of local fresh seafood and produce, including sushi and sashimi, fresh shellfish and lunchtime bento boxes. Dishes such as Momofuku pork buns, seared beef with garlic chips and soft shell crab with orange ponzu and wasabi tartare sum up the menu’s ‘traditional with a twist’ approach. As well as an innovative cocktail list and a carefully thought out wine list, there is an extensive range of traditional sake. Ebisu is an excellent destination for an after-work tipple or a pre- or post-show bite or drink at Vector Arena – open every night till late. The restaurant and its terrace space are available for private function hire – contact micaela@seafarers.co.nz with any enquiries. Dishing up the fresh, lively flavours of Vietnamese cooking, Cafe Hanoi offers an exceptional dining experience in a beautiful contemporary space. Cafe Hanoi is one of the city’s most elegant dining spaces, with its high ceilings, soft lighting and understated celebration of the building’s heritage fabric. The floor-to-ceiling glazing of the north wall overlooks Britomart’s bustling Takutai Square, giving the restaurant an atmosphere that is both intimate and fully engaged with the buzz of the precinct beyond. Cafe Hanoi’s stand-out service, from some of New Zealand’s best front-of-house staff, is warm, attentive and fuss-free, setting diners immediately at ease. The food is a modern take on Northern Vietnamese, characterised by vibrant flavours such as lime, tamarind, chilli, lemongrass, mint, coriander, dill and Asian basil. Signature dishes include Vietnam’s famous pho bo broth, caramelised pork hot pot and ‘shaking beef’ recipes. There is an exciting Vietnamese-inspired cocktail list, together with an impressive selection of wines from around the world, expertly matched to the food by knowledgeable wait staff. Close to Vector Arena, Cafe Hanoi is ideally located for an early dinner or late supper before or after a show. Reservations are taken for lunch only for up to 10 people and can be made online at www.cafehanoi.co.nz or by phoning +649 302 3478. Downstairs, the cosy speakeasy-style Parlour is available to book too – call the restaurant to book – and across the road, sister restaurant Xuxu Dumpling Bar is another delightful option for cocktails and small plates. Make an online booking at the main dining room here. Make an online booking at the parlour here. Already an Auckland Institution, the Country Club buzzes day and night with punters enjoying an afternoon beer, a satisfying meal or the tunes of top local DJs. 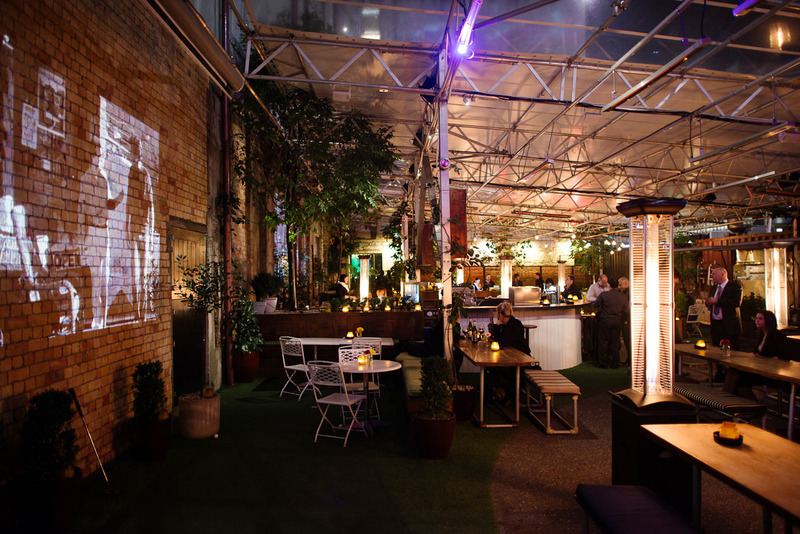 The Britomart Country Club is the largest courtyard bar in New Zealand: a stylish landscaped and canopied space, ringed with steel shipping containers and furnished with cushioned banquettes and antique furniture. There’s plenty of greenery in planters and overhead creeper for that secret-courtyard feeling along with a putting green to help channel the country club vibe. The kitchen and fabulous marble bar, tucked into the shipping containers, serve up lunch and dinner and a great selection of sangria and cocktails. Giant HD screens show live sport and movies and the Country Club hosts regular live entertainment from some of Auckland’s best bands and DJs. Located adjacent to 1885 Britomart on Galway Street and accessed down a shared laneway, the Country Club provides another outdoor space for 1885 patrons, who can move freely between venues. Sister eatery Better Burger – which serves up no-nonsense American-style burgers and fries – adjoins the Country Club, and diners are invited to enjoy their burgers in Britomart Country Club’s scenic courtyard. All year round, The Britomart Country Club is an ideal meeting point for a drink before or after a show at nearby Vector Arena. It’s open in all weathers, from midday till midnight for lunch, dinner and drinks. With a dizzying selection of craft beers, a stunning fitout and a secret rooftop bar, this is an establishment dedicated to the celebration of beer in all its finest forms. Located in the landmark Wharf Police Building on Quay Street, Brew on Quay specialises in the very best beers from New Zealand and around the world. The bar’s interior lovingly preserves many of the building’s historic elements, including the richly wood-panelled police front offices, reception counter and strong room. Elsewhere the space has been cleverly modernised with numerous witty design features. The spacious, high-ceilinged central bar area opens on to many pleasing nooks and crannies, including a lavishly draped and gilded parlour space, mahogany-panelled ‘cells’ and – the crowning glory – the open rooftop terrace. Frequently busy with after-work drinkers and Vector Arena event-goers, Brew on Quay nevertheless retains the relaxed vibe and friendly atmosphere of a true ‘local’ bar. Naturally, the Brew on Quay drinks list offers a glorious array of craft beers, including Epic Pale Ale on tap and another craft tap beer that changes monthly. In total there are 102 local and international brews to choose from – a tribute to the location at 102 Quay – and wine drinkers are also well catered for. In complement, there’s a fine menu of hearty brew-matched food given a contemporary foodie twist and just a stone’s throw from Vector Arena, Brew on Quay is perfectly located for a spot of pre- or post-event sustenance. Described as an ‘irreverent classicist’, Kate Sylvester balances her love of tailoring and historical reference with a provocative wit . . .